Here is a random sampling of our original Navaratna designs. 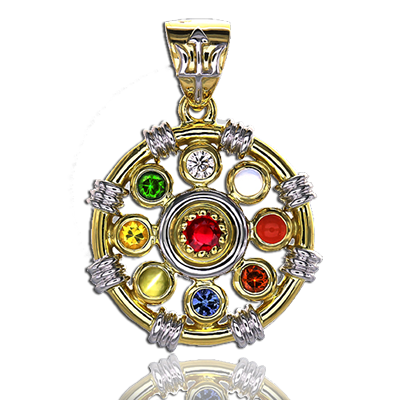 Combining the gemstones representing each of the nine planets in sidereal astrology, the Navaratna is esteemed by ancient tradition as a jeweled yantra of good fortune through its favorable balance of the planetary energies. 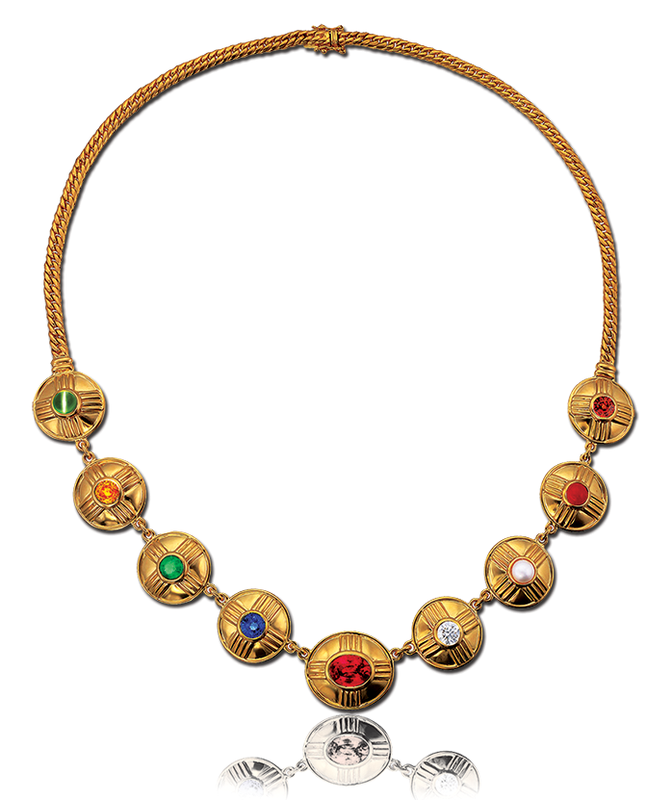 The most well-known pattern places a ruby, representing the sun, in the center encircled by the other 8 planetary gemstones, diamond for Venus, pearl for Moon, coral for Mars, hessonite for Rahu (the moon’s ascending node), blue sapphire for Saturn, cat’s-eye for Ketu (the moon’s descending node), yellow sapphire for Jupiter and emerald for Mercury. If you see a design that you like, please click on it to get more information.